What an exciting time it is at Community Living Central York. 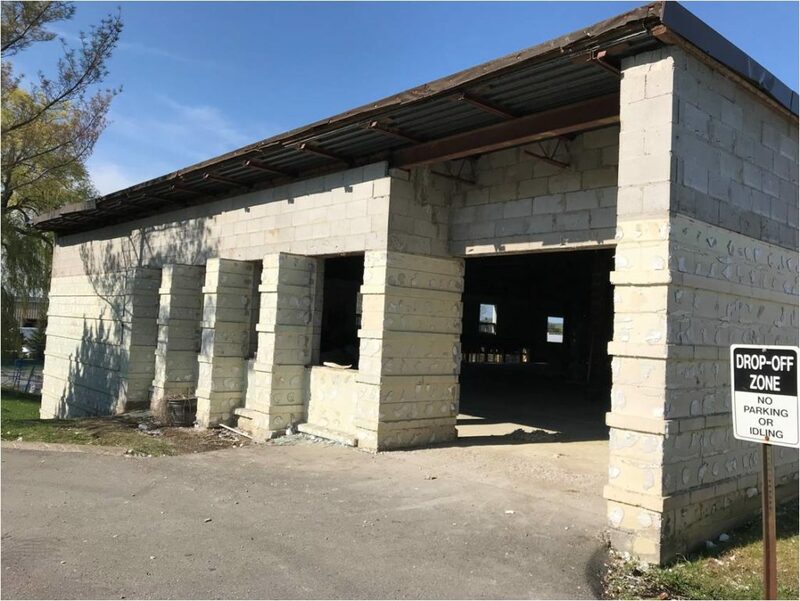 We wanted to take a moment to share a few of our latest updates and happenings! 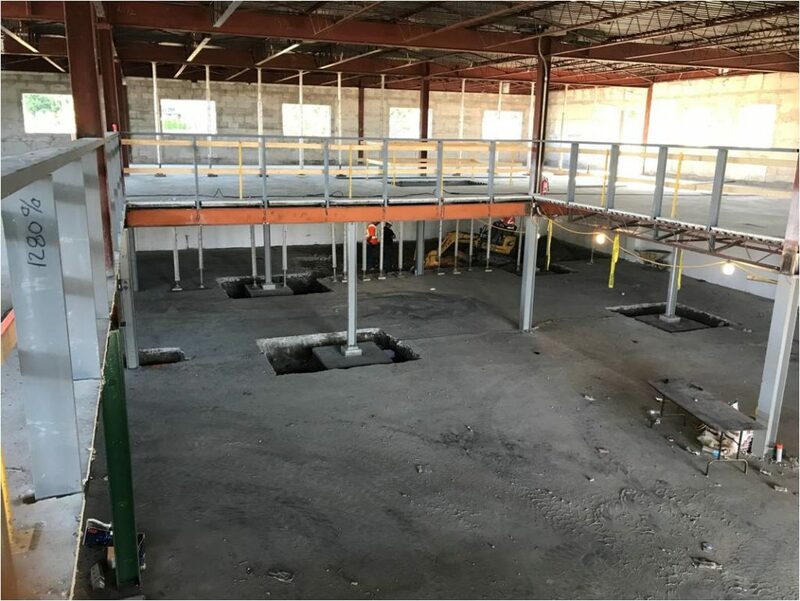 Construction of our building began in April 2018 and is in full force – we are starting to see progress of what our new home is going to look like. It is incredible to now be able to picture moving into our new home. The end is near and we are closing the gap on our Happy Hearts campaign to support our redevelopment. 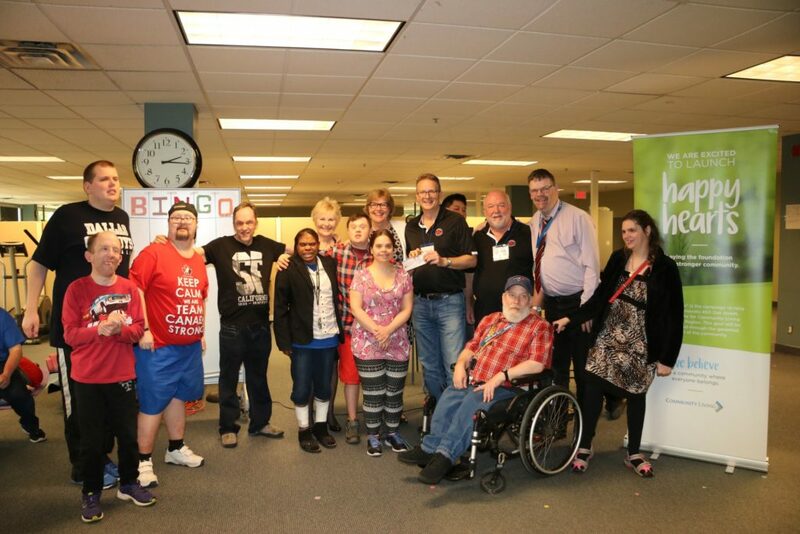 Our campaign volunteers and our Campaign Director have helped develop important relationships in our community bringing us to just over 85% of our 5 million dollar goal. We are incredibly thankful for the support that we’ve had over the duration of our campaign. 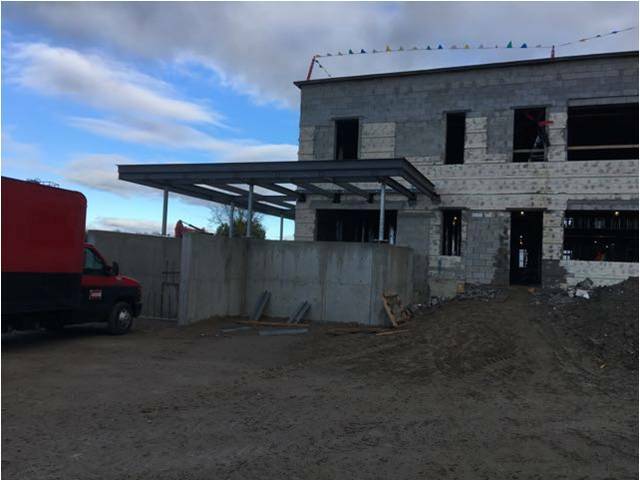 Check out our buildings latest progress! 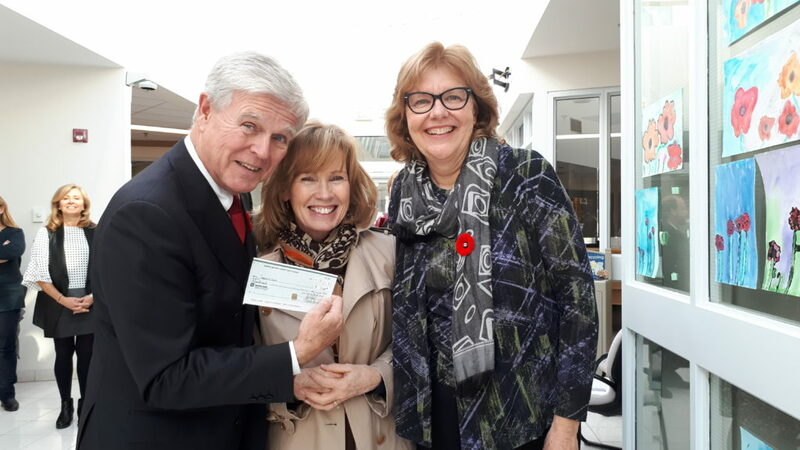 Thank you Mayor Tony Van Bynen and Mayor Geoff Dawe through your support from Mayor’s golf tournaments in Aurora and Newmarket. 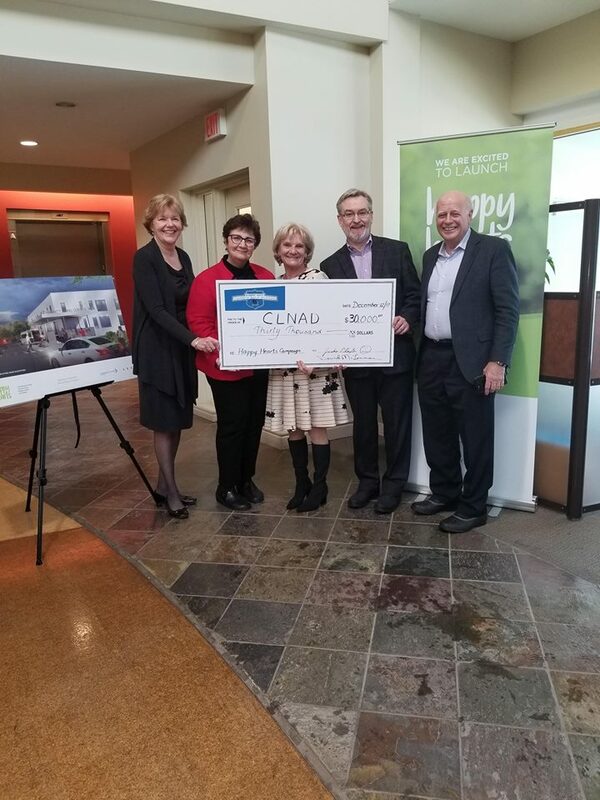 Thank you to Michael Croxon & New Roads for their support! 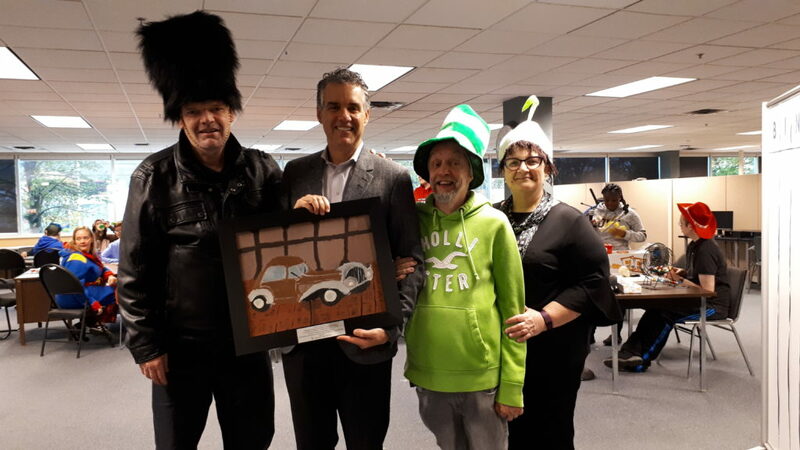 Here’s a picture with our team presenting him with a wonderful painting created by Chuck on Halloween! 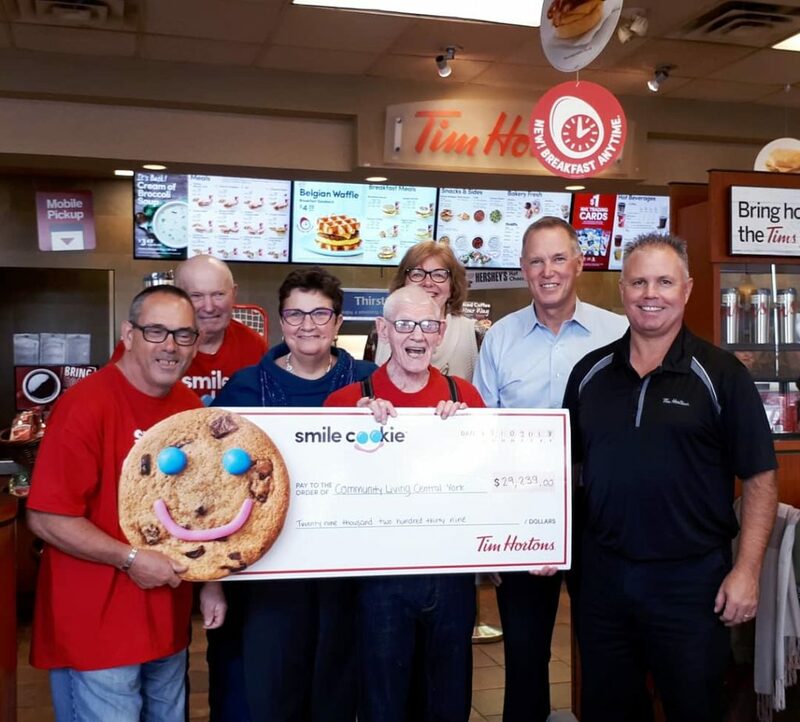 What a great opportunity and experience to be a part of Tim Horton’s Smile Cookie Campaign as the Newmarket/Aurora charity recipient for three years. Here we are with Tim Horton’s owners Jim Alexander and Dan Wall. Greg Gillespie from the Newmarket Rotary Club came in to present a cheque and see more about our redevelopment. Vern Cunningham, Keith Scott, and Brian North from the Aurora Whiskey Society presenting a cheque from their first Annual Gala Event. Andy and Marlene from the Newmarket Road Runners came by after the 3rd Jelly Bean Run. 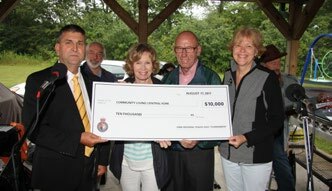 Cheque presentation from the York Regional Police at Community Living Central York Annual BBQ. We are thankful to all these donors and so many more. However, there’s still a stretch to go and we are working hard with our volunteers and our community to close our campaign. We have been fortunate to have engaged with incredible donors – organizations, individuals, families and foundations. When we have the opportunity to share our story, our impact and vision for our new building – it connects. Our donors have expressed a real personal connection to the work we do. The stories we share and success we demonstrate each day resonates. 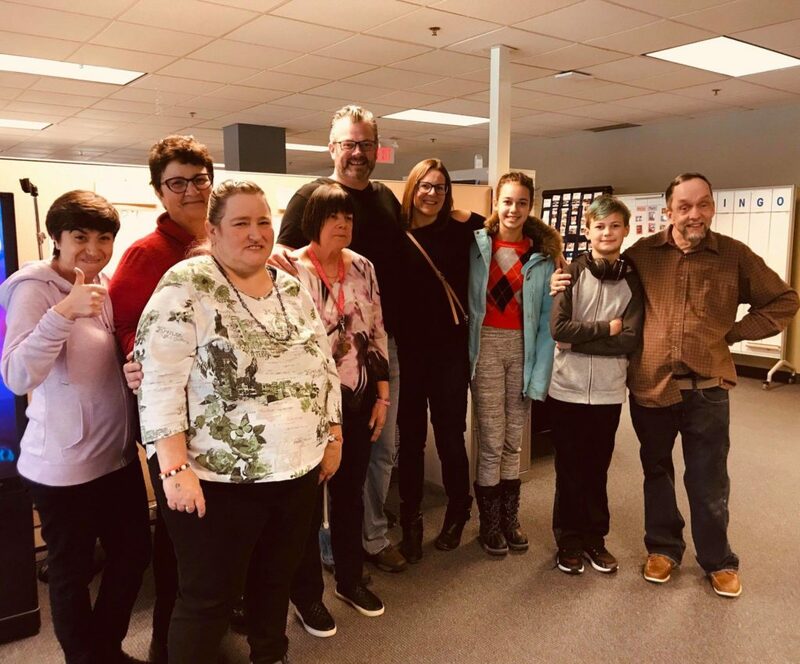 From an anonymous $1M donor, to community members, business and families with a personal connection – each donation has a special link and story. We are thankful for all. We see this campaign as a beginning – a beginning for new relationships we have forged and will work to continue. A beginning for new innovation and impact through our programming and increased reach. An opportunity to connect with and in our communities in a broader and meaningful way. As we move into the tail end of 2018 and closer towards the close of our campaign we are looking to broaden our reach into the community and share our story with even more people. As you may have heard for December 2018 we will be the community partner at Upper Canada Mall for gift wrapping. We are grateful for this opportunity and the chance it provides to raise awareness to our organization, raise funds for Happy Hearts and to engage in our community in a fun and meaningful way. We encourage all of you to come by, say hello and get your gifts wrapped from Dec 1-24! 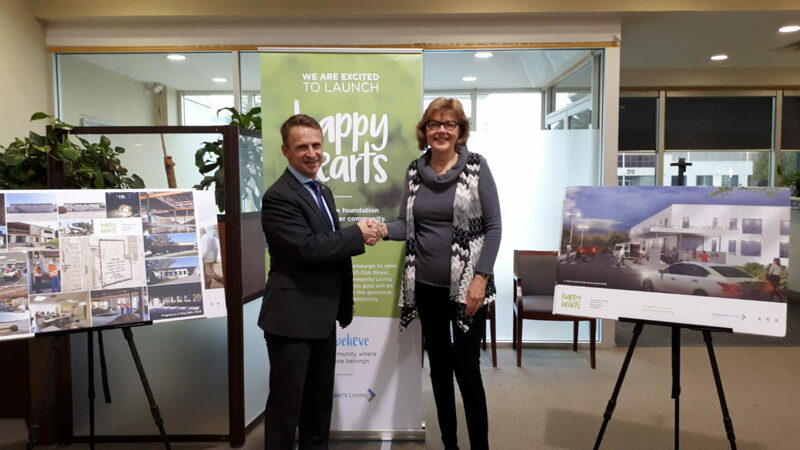 Our Happy Hearts campaign has opened so many doors to new connections, relationships and partnerships. All of us at Community Living Central York are thankful for the support of donors, community and all of our volunteers. Together, we are building a community where everyone belongs.